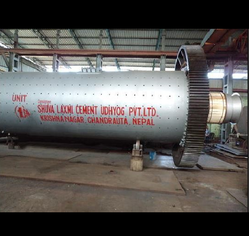 Since our inception, we are engaged in manufacturing and supplying a huge range of Dispatched Ball Mills to the customers. The offered range is manufactured by making use of top grade components and innovative techniques. Before dispatch, it is tested on various parameters in order to ensure the quality end products. 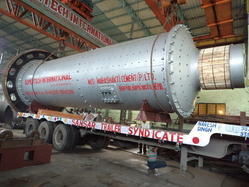 In addition to this, we are able to offer this ball mill within the stipulated set of time span. 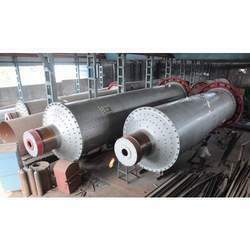 Being a client-centric organization, we are engaged in manufacturing and supplying Ball Mill Grinder. The provided mill is used for the purpose of grinding the hard and solid materials into small particles. The offered mill is precisely manufactured from optimum quality components and modern technologies in synchronization with defined industry standards at our production unit. Ahead of its final dispatch, this mill is rigorously inspected by our quality examiners on several parameters of quality. Ball Grinding Mill is an efficient tool for fine powder grinding. These Ball Grinding Mills is used to grinding many kinds of mine and other materials, or to select the mine. The range of Ball Grinding Mills offered by us is made of superior quality iron and stainless steel and is used to process and for milling various kinds of ores or rocks in metal and nonmetal mining and building material industry.